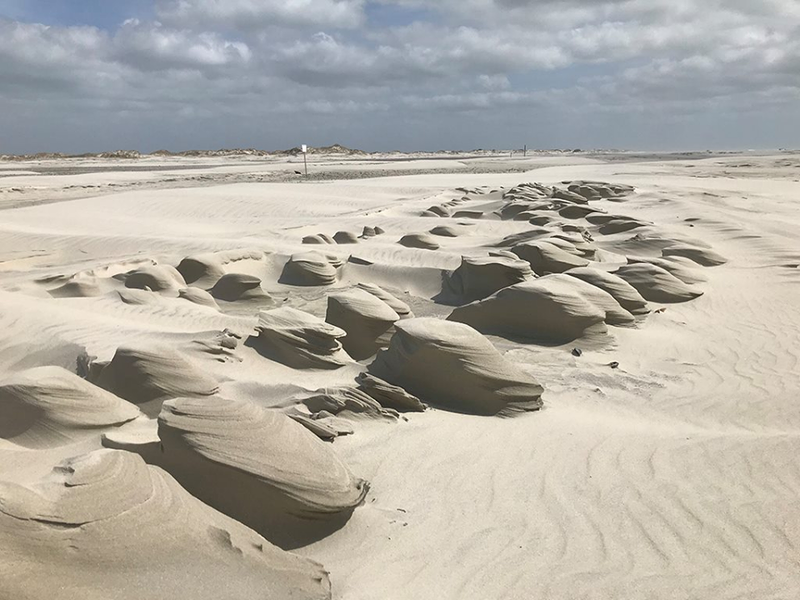 Updated 10:30 a.m. July 17: Sam Walker with the Outer Banks Voice reported during his podcast Tuesday that dredging of the channel into Rodanthe Harbor would take place Tuesday. Work to repair the damaged drain pipe in the nearby dredge spoils pit was completed over the weekend, in time for an Army Corps of Engineers dredge heading to Florida from Manns Harbor shipyard to clear the shoal in less than 24 hours. As Tropical Storm Chris was spinning out in the Atlantic off the Outer Banks this week, Dare County Waterways Commission members on Monday discussed progress on dredging an irksome small shoal clogging the emergency ferry channel in Rodanthe Harbor. It’s a minor job that the Army Corps of Engineers would be able to take care of soon, but the work has been complicated by the recent discovery of a broken culvert. The emergency channel between Rodanthe and Stumpy Point is a critical transportation backup for Hatteras Island when roads or bridges are inaccessible after major storms or accidents. With the dredge departing earlier than expected, Joen Petersen, U.S. Corps of Engineers Chief of Floating Plants, stressed that time is of the essence. The dredge that could quickly do the project, he explained, is nearly ready to leave the shipyard in Manns Harbor, where it was being repaired, and head to Florida. The challenge, however, is getting the damaged outfall repaired no later than a few days after the dredge leaves the shipyard by around July 15, responded Ann Daisey, the Waterways Commission administrator. Daisey said in an interview that she had recently discovered that the corrugated outfall pipe at the site where dredge material is deposited had been cut in two for some time. Records show that the last repair was in 2013, she said, but there is no record of subsequent damage. The spoil site has limited capacity for additional material, Daisey added, although it has not yet been determined how much that would be. The pipe directs water that drains from the sediment into the harbor. After earlier consultation with engineers at Albemarle and Associates, a formal bid had been put out for a complete repair project, she said. With the new urgency to get the channel cleared before the dredge leaves, Daisey said that the engineers have reached out to a former contractor who had previously done work on the culvert. The hope is that at least a partial repair could be done to allow the dredge to remove enough material to make it navigable for the ferry. The 24-inch diameter pipe, divided in 30- to 40-foot sections, would need two or three sections replaced, depending on the condition of the mean high tide portion. According to Corps estimates, about 300 cubic yards of material would have to dredged to achieve a depth of 6 feet at the entrance to the channel – the minimum required for the ferry, which draws 5.5 feet. Currently, there is only 5.5 feet of water at the shoaled spot. “Since we have a tropical storm sitting right there, it would be good to have it done,” said commissioner Natalie Kavanaugh. Other members in attendance at the meeting in Manteo were chairman David May and commissioners Ernie Foster, Dan Oden and Steve “Creature” Coulter. Much of the discussion Monday centered on dredged and un-dredged areas of the federal Rollinson Channel leading to Hatteras Harbor, with some heated exchanges about the reasoning behind recent work. Hatteras charter captains, including Coulter, Foster and Oden, have been complaining for some time about shoaling at the breakwater at the mouth of the harbor. All three expressed frustration that a part of the same channel had recently been dredged for the new passenger ferry, although that operation has been delayed. Despite the long-stated concern about the pinch at the breakwater, Foster said, he was flabbergasted to learn about the nearby work. Coulter said that vessels are now forced to hug the fender to get through, causing some to run aground. In response, Jim Medlock, Corps’ civil works project manager, said that the dredge is scheduled to return to the area in mid-September. The Corps’ Wilmington district commander Col. Robert Clark, who was attending the Waterways Commission meeting for the first time, had sharper words. Interrupting, Coulter said that since the dredge, after leaving Ocracoke, drove right past the area where the dredging was needed, it should have been in its scope. Picking up where Clark left off, Medlock agreed that it would be reasonable to talk to the dredge contractor about schedule or work adjustments when possible. ‘It would be nice if we can continue to use the harbor,” Foster said sarcastically. Impatience with the inefficiency of the bureaucracy soon shifted to the overarching complexity of getting necessary maintenance. A patchwork of federal and state authorized channels through the inlet often requires a laundry list of permits from different agencies, resulting in a time-consuming process. But increased shoaling in the waterway has made it more challenging to keep the inlet navigable for commercial and recreational vessels as well as vehicular and passenger ferries. The increased shoaling has also created a need for more disposal sites for dredge material. One new site, “DOT island,” is close to final approval, but more are necessary. 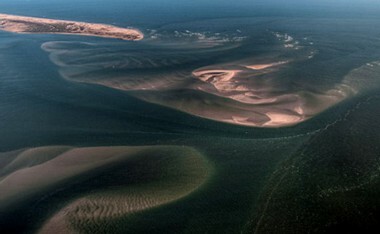 The idea of having Hatteras Inlet declared a federal project was raised again by members as the best solution, but Medlock reaffirmed that it would take an act of Congress. And Clark dimmed any hopes of more federal funds being appropriated in future to the Corps for shallow-draft projects. Still, it would be possible to try to get authorization that would provide more flexibility for dredging projects, Medlock said. 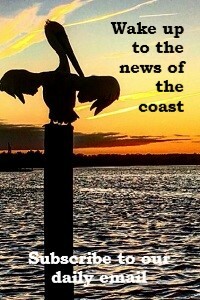 The next meeting of the Dare County Waterways Commission is scheduled 7 p.m. Aug. 13 in Buxton.